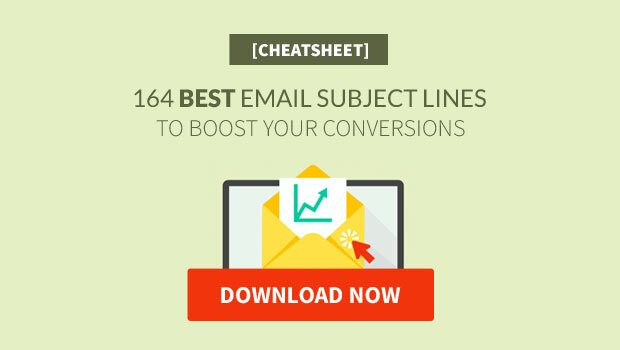 Exclusive: Download the 164 Best Email Subject Lines Cheatsheet for boosting your email open rates. 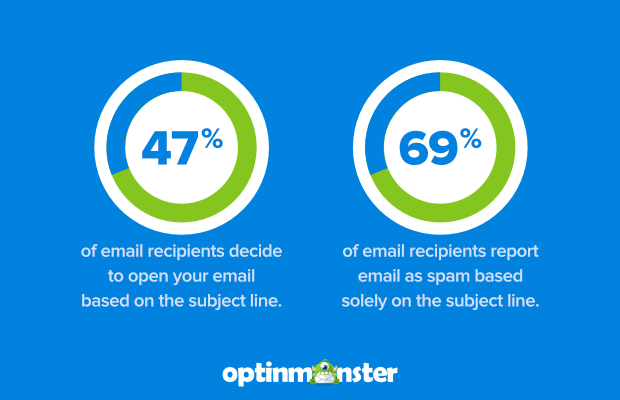 Did you know that 47% of email recipients open an email based on the subject line alone? At the same time, 69% of email recipients report email as spam based solely on the subject line. You can make subscribers curious by asking a question, promising something interesting, or simply saying something that sounds strange or unusual. Here are some funny email subject lines to make your subscribers laugh. Everyone has a bit of vanity. People love to be liked, accepted and even revered by others. It’s just a part of being human. Retargeting emails are sent to subscribers when they fail to complete an action or a step in your sales funnel (e.g. when they abandon their cart or fail to purchase after their free trial). 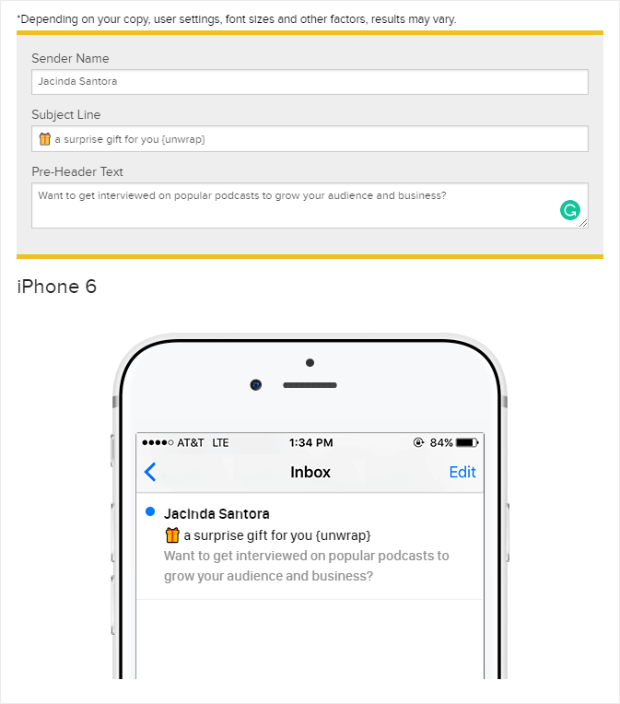 These emails serve to bring your subscribers back to your sales process. Email subject lines that are personalized by including a name boost open rates by 10-14% across industries. But including your subscriber’s name is only one way to make your subject lines more personal. You can also use casual language, share something personal, or use copy that implies familiarity or friendship. 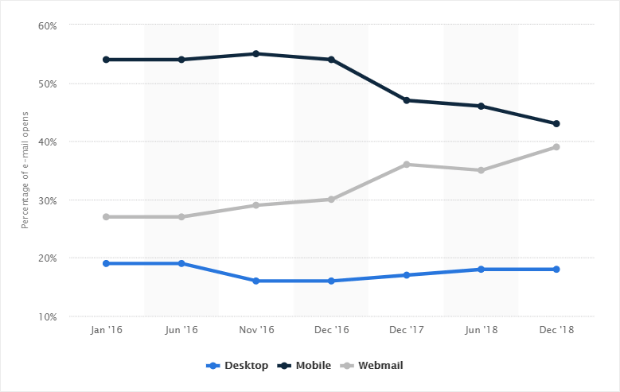 While mobile access to email saw a dip at the end of 2018, it’s still the preferred way people access their email. The truth is, subscribers get bored easily. If you want to engage your first-time openers and long-term inactive subscribers, you don’t want them to read your subject line and think, “There’s that weekly newsletter again that I always ignore.” You’ll need to keep mixing things up over the long haul. These aren’t necessarily the “best” ones to use—they’re just the most popular. You can get creative with different emojis and different emoji combinations for your own email subject lines. Hey Katie, great question! It’s true that it’s smart to avoid certain words that can be associated with spammy emails. However, using those words won’t necessarily automatically flag your email as spam – rather they’re just one of many signals that email services look for when deciding whether or not an email is spam. If you’re writing good subject lines, following deliverability best practices, and keeping your email list cleaned, and still seeing low open rates, it could be that your emails aren’t targeted towards your subscribers’ interests. For example, if someone signs up for vegan recipes and starts getting emails with hamburger recipes, they aren’t likely to open them. That’s an extreme example, but the more targeted your emails are to your subscriber’s interests, the better your engagement will be. That’s one reason why it’s important to segment your list.